We are one of the reputed Manufacturers and Suppliers of Industrial Condenser Gaskets in Gujarat. We use high-grade raw material while manufacturing Condenser Gasket at our manufacturing unit. Further, we make optimum use of hi-tech machinery to match the international standard of the Condenser Gasket. 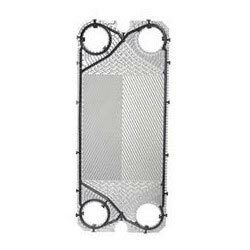 We hold expertise in handling bulk orders of Industrial Condenser Gaskets as per the client requirement.